She didn’t nod or otherwise signal comprehension, but the spreading bleakness in her eyes was all the confirmation he needed. Versatile? (Looks over shoulder; sees no one behind me.) Me? Do you think so? Do you really think so? Okay, Part 1, thank you, Shéa! You are a darling. 1) I can’t leave the house without making the bed. I can leave dishes on the counter, jackets draped on chairs, shoes in a pile by the door, dust bunnies firmly entrenched in their protected habitats. But God help me, I have to make the bed. What does that say about me? 2) I’m a little compulsive and am easily spellbound by simple, repetitive tasks. If I get started weeding my flower beds, I’d better have all day, because the weeds – they … all … must … come … out. Of course, I wind up being sore for three days, but my gardens look good. 3) I have a weird aversion to the name Betty. I’ve known some very lovely Bettys, and the name does not have any awful-Betty associations, but nevertheless, never will a character in one of my books be named Betty. 4) I am learning not to be such a grudge-holder. My policy has always been to take everyone pretty much at face value, giving them the benefit of a doubt – until they demonstrate that I can’t. And then I can hold a grudge for a very, very long time. As in, forever. Slowly getting past that. Life is too short to harbor animosity for any length of time. Plus it tends to crowd out the good stuff. 5) I’m starting to wonder if I’ll keep watching Castle next year. This disturbs me deeply. I love(d?) that show. We’ll see what next year brings. 6) When I meditate, I see a really deep, rich amythst color. Huh. Okay, that’s all my tired brain can think of right now, so it’s time for Part 4. I’m off to notify the lucky victims ricipients of the glorious Versatile Blogger Award. May they labor as long as I did finding seven things to say about themselves. My very distinguished guest today is MIKE ANGLEY, award-winning author of the Child Finder Trilogy. 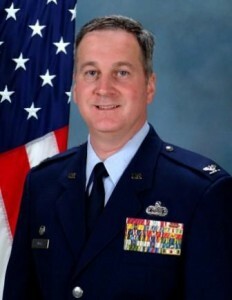 He retired from the Air Force in 2007 following a 25-year career as a Special Agent with the Office of Special Investigations (OSI). He writes thrillers with a paranormal twist. His protagonist is a man whose deep faith guides him through his page-turning perils. The Child Finder Trilogy is a hot thriller series with a light, somewhat edgy spiritual theme…in other words, not your typical Christian fiction. However, this series will have appeal for fans of that genre, as well as suspense and thriller enthusiasts. NORAH: Welcome, Mike. I’m thrilled to have you here. I’m going to start off with the question writers always ask one another: When did you know you wanted to be a writer? MIKE: I’ve always had that writer bug burning in my heart. Even as a young boy I would write short stories and poetry, but my attempt at becoming the next E. E. (or is it e e?) Cummings never got off the ground. I did enjoy writing short stories during high school for my literature classes, and I dabbled in poetry some more, but that was mostly to impress girls! NORAH: Smart! But now you’ve graduated to novels. How long does it typically take you to write one? And how do you approach it? What’s your work schedule like when you’re writing? MIKE: That varies. 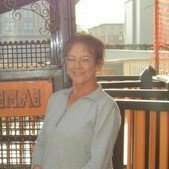 My first book, Child Finder, took many years because I had drafted it while I was still in the U.S. Air Force, but my work schedule kept me from doing any serious editing. My second and third novels (written in my retirement) took about a year each. I begin with knowing the general plot I want to craft, and then I outline it into major scenes. I use the outline as a guide as I begin what I call, “throwing paint on the canvas.” I will toss out words as fast as I can write them with no particular worry about how pretty they look. Once I have a rough draft, I go back and clean it up. My editing focuses first on substantive content (did I capture the outline correctly in my chapters? ), and then on style (making the word, phrases, sentences pretty). My schedule varies quite a bit. I write part time, so as my regular work permits it, I try to dedicate an hour or two a day to writing. NORAH: How many books have you written? How many have you published? Which is your favorite? MIKE: I’ve written the full Child Finder Trilogy, but only the first two are published. Child Finder, the first in the series, came out in June 2009, followed by Child Finder: Resurrection, in the fall of 2010. 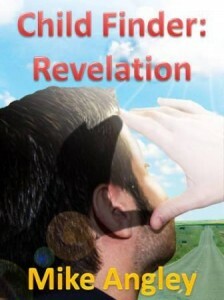 Child Finder: Revelation is due out November 1, 2011. I am very excited about the release. I’m on a three-book contract with an independent publisher called TotalRecall Publications, Inc.. While I love them all, I am somewhat partial to the last one, Revelation. I learned a lot along the way, and I think my writing matured with it. Besides, Revelation has a mind-blowing conclusion, I like to say. After all, why would a senior Department of Defense official call it, “The most dangerous book ever written!”? NORAH: Okay, I’m sufficiently intrigued. What is Revelation about? MIKE: North Korean terrorists stage a brazen attack on the U.S. Ambassador to South Korea, stealing his twin daughters in the assault. Only one man can rescue them: Air Force Special Agent Patrick O’Donnell. But there’s more. There’s a mystery about the twins that has the President of the United States and the Pope rattled, and no one will tell O’Donnell what that is. One thing is made clear to him in abundance: he must rescue the girls and bring them back to America with an urgency he has never experienced before. Will Agent O’Donnell be successful in rescuing the Ambassador’s daughters? Will he be able to unravel the intrigue between the Oval Office and the Vatican? Perhaps O’Donnell will receive a revelation that will explain it all…and if he does, it may be something he wishes he never knew. NORAH: Oh, wow! Now that’s a blockbuster plot! Which leads me nicely to my next question: Where do your ideas come from? MIKE: Much of my inspiration comes from my Air Force career as a Special Agent with the Air Force Office of Special Investigations (OSI – the USAF equivalent to NCIS). I spent 25+ years chasing criminals, spies and terrorists around the world, so I decided to create a thriller series about a young OSI Special Agent who discovers he has a psychic ability to find missing children. It was one of those daydreams I had during my career – the idea that life would be a lot fairer if we had someone with such abilities to help us find children. Since I enjoy the thriller genre, I needed to insert some intrigue, danger, derring-do in the stories to twist and pull my protagonist along the way. NORAH: Speaking of careers, your biography says that during your time at Air Force Space Command you were responsible for counterintelligence programs involving space, overseeing “entering or exiting Earth’s atmosphere.” Can you elaborate on that? NORAH: LOL! Okay, shoulda seen that coming. Next question: Do you hear from your readers much? And what kinds of things do they say? MIKE: I do get some fan mail and email, and most tell me they find my stories inspiring (I like that). Many also ask if I have my own psychic abilities (Sadly, no. If I did, I wouldn’t get into nearly as much trouble with my wife as I do). A few want to know if I’ve revealed any real government secrets in my books (Of course not!). NORAH: What do you think makes a good story? MIKE: I like creating compelling characters that drive my stories. My protagonist is a man of deep faith and strong moral and family values. These all become challenged throughout the series as he faces life and death decisions. Patrick O’Donnell is a caring, loving man on one hand, and a tough Jack Bauer-like federal law enforcement agent on the other. Sometimes making those switches can be tough for him. The other main characters – even the bad ones – are multi-dimensional. The “bad guys” are REALLY bad, and it’s this wickedness that creates such a reverse polarity with Patrick. NORAH: Which of your own characters would you most like to invite to dinner, and why? MIKE: I’d invite Patrick O’Donnell and his family over. They come as a package in my stories, and each plays a part in the plots. He’s got a beautiful wife and two great kids, each with their own unique, endearing qualities. NORAH: Great answer! Okay, which of your characters would you least want to dine with? MIKE: The antagonists. Each story has its own nasty characters (no recurring nemeses for me), and because there are a few surprises in my stories, I don’t want to say much more. In my third book, the main antagonist is apparent as the plot unfolds early on, so I don’t mind mentioning him here. That would be Kim, Jong-il, North Korea’s “Dear Leader.” But what he’s up to and why is the mystery in the story…that part will just have to wait for people to read it! NORAH: What have you learned in your journey to publication that most surprised you? MIKE: How hard the business end of writing can be. By this, I mean the process of landing a contract to doing publicity to managing marketing. I enjoy the craft end of writing much more, but I learned early on that the business aspects of getting published are so important. NORAH: Did you have any mentors who helped you along the way? MIKE: I have more USAF career mentors than I’ve had writing mentors (James Patterson, if you are reading this, call me!). My mentors’ voices have helped me shape my stories, and I even patterned my protagonist’s fictional mentor (Colonel John Helmsley) as a composite of some of the best bosses I’ve had in my career. 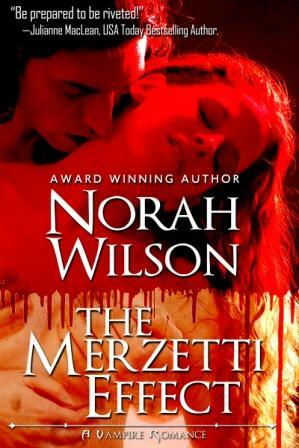 NORAH: Who are some of your favorite authors? MIKE: Did I mention James Patterson? Oh, and there’s also Clive Cussler, Tom Clancy, Joel Rosenberg, among many. NORAH: What’s the last book you read? The last movie you went to see? MIKE: Patterson’s Don’t Blink. And what I enjoyed the most was his choice of an unconventional protagonist (a journalist). The last movie I saw was Rango with my wife and daughter. It’s an excellent animated western with lots of critters for characters. 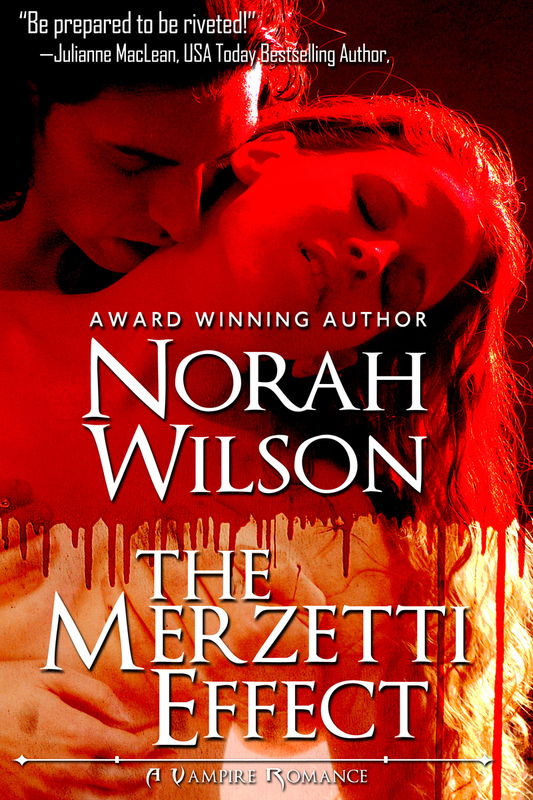 NORAH: What do you like to do when you’re not writing? MIKE: I serve as the Senior Military Advisor for Henley-Putnam University in San Jose, CA. That work keeps me busy (with a fair amount of traveling). In my real downtime, I like to spend time with family. Lately we’ve been enjoying some of the Denver, CO sports events (Avalanche and Rockies games). NORAH: Any last messages for readers? 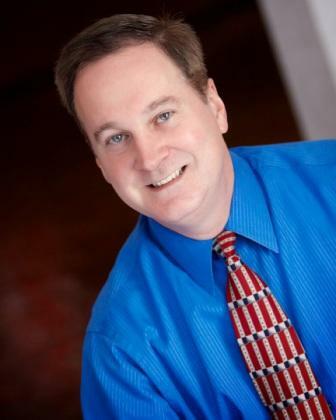 MIKE: Please visit my website for more information about me and my writing. I had a fun – if not esoteric – career, so please check out my biography. Of course, when my third book comes out, read it to find out why some in the DoD are a bit apoplectic over it! www.mikeangley.com. NORAH: Oh, my, you do know how to deploy a hook, don’t you? That was a great one! Thank you, Mike, for being my guest. I’ll be in line with the rest of your readers for book 3. 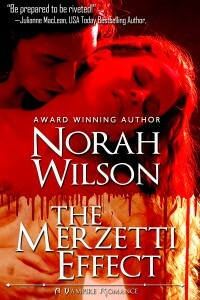 Today I received my cover for my new vampire romance THE MERZETTI EFFECT! Yay! The book will soon be available on both Amazon and Smashwords, and eventually B & N, Sony, Kobo, Apple iBook store, etc., but I couldn’t wait a few days to share! What do you think? Meet Alice Duncan – and get crazy deals! My guest today is Alice Duncan. One of the very best things about having published with Dorchester Publishing was meeting a passel of fellow authors on the “Lollie” loop (Lollie being a take on Ladies of Leisure, Leisure being one of Dorchester’s imprints. I was actually pubbed by the Love Spell imprint, but I think I’m still a Lollie…). Anyhoo, seven of us seemed to have a lot in common, so we wandered off and created a little sub-community of our own. Alice is an integral member of that community. She’s also a birthday sister (we’re both Sagittarians, born on November 29), a fellow dog-lover, and a helluva writer. Welcome, Alice. ALICE: Thanks, Norah! Happy to be here. And (ahem) believe it or not, it was I who suggested we call ourselves the Lollies. Not that I want any credit or anything <g>. Anyhow, it was another Alice (Alice Gaines/Chambers) who started the loop in the first place. NORAH: We also have another unusual connection, don’t we, Alice? ALICE: We certainly do! I live in Roswell, New Mexico, home of the aliens from the 1947 flying saucer crash. You, on the other hand, live in Fredericton, NB, home to Dr. Stanton Friedman, Nuclear Physicist and UFOologist, the original civilian investigator of the Roswell Incident (I didn’t know that until Norah told me, by the way). Not that I have any interest in UFOs or aliens, but living in Roswell is cheaper than living in Pasadena, California, where I’m from. Roswell’s also ugly and boring, but you can’t have everything. NORAH: Alice is my hero in so many ways. She is such a champion of animal rights. And she backs it up. Alice fosters Dachshunds. That’s right, wiener dogs. 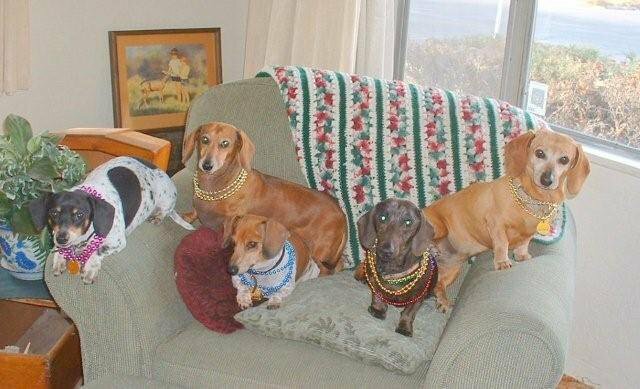 She belongs to the New Mexico Dachshund Rescue League, and at any given time, has as many as seven of the little beasties in her care and control. ALICE: Aw, thanks, Norah. Yes, it’s true. I attract dachshunds kind of like a magnet attracts steel shavings. It’s a curse. Or a gift. I haven’t decided which. Let me tell you, walking three or four dogs at a time can be really tricky, too, although the dogs need the exercise, so I do it. Slave to duty, that’s me. But truly, some of the stories of the dogs we get are truly horrifying (I’m fostering a wiener who came to us because of a murder/suicide, for instance). But we at NMDR get all our dogs shot and spayed or neutered and try to find them wonderful homes. I’m talking rabies shots, by the way. Heck, the last dog I fostered went to such a nice home, I was tempted to ask his adopter to adopt me, but I restrained myself. 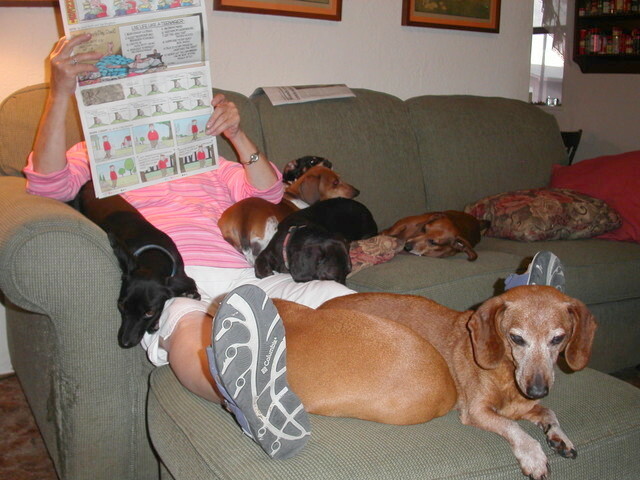 At the moment I’m caring for six wiener dogs and a ringer (part Chihuahua, part miniature pinscher). Sigh. NORAH: Okay, enough with the love-in. I’ve asked Alice here today because I want to bring to your attention the fact that she has a freakin’ amazing backlist of terrific romance and mystery titles. They were a steal at $2.99, but Alice has some breaking news. ALICE: Yes, I do! During the entire month of June, I’m selling every single one of my e-books for 99 cents each! These are full-length novels, folks (well, except for one short story I wrote specifically for Kindle when I got sick of the book I was writing). 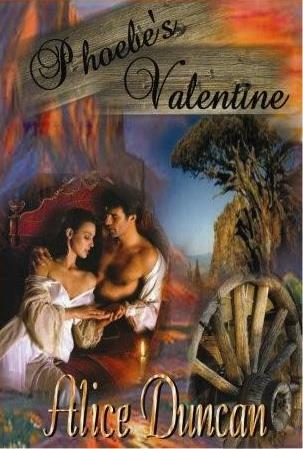 They’re all historical novels, some mysteries and some romances. 32 of them! Heck, you can get all 32 of them for less than $32! Here’s the Kindle link: http://aliceduncan.net/page5.html and here’s the Smashwords link: https://www.smashwords.com/profile/view/aduncanzianet . If you have an e-reading device other than Kindle, use the Smashwords link. Smashwords provides books for NOOK, Sony, Apple, and every other e-reader known to man. Or woman. NORAH: Did you get that? Every one of her backlist titles for 99 cents! Having read a bunch of Alice’s books, I can assure you this is one of the best deals you’ll ever find. I mean, 32 books for less than $32! I’ve spent more than that on one or two books. If you’re thinking that’s too much to bite off, try one for $0.99 and see what you think. No, these books weren’t written yesterday, but here’s the thing – Alice knows where all the volts are packed. It may be a more leisurely journey than you’re accustomed to with your off-the-rack purchase, but she makes it soooo worth it. ALICE: Thank you, Norah. It’s not actually my entire backlist. There are two books that have yet to be scanned (a tedious task performed by Norah, bless her heart) and then re-formatted (a tedious task performed by me, who needs all the blessings I can get). Then there are my two “Trailsman” books, written as Jon Sharpe. I don’t own the copyrights to those. And there are also three novellas I might get around to putting in e-book format. Someday. Maybe. And my current books aren’t up there and won’t be until at least a year after their first printing. Still, there are THIRTY-TWO books to choose from! Heck, get ‘em all! Whatta deal! NORAH: For all my fellow Indie writers and aspiring writers out there, I’ll ask you, Alice, to tell us about your freelance editing/book doctoring service (a service I plan to avail myself of before going to press with my next Dix Dodd Mystery). ALICE: Indeed, I do have a freelance editing service. I’m also a professional editor and have been for the past six years. However, if you’re interested, you can read all about my service here: http://aliceduncan.net/page2.html. I charge a cent per word, and I must say (although it’s immodest to do so) that I’m pretty good at this editing thing. After all, I’ve had nearly 50 books published, all of which had to be edited, too. Not only that, but I’ve received two (count ‘em) letters from copy editors complimenting me on my books! Mind you, I’ve also had copy editors who tried to change my footpads to foot paths and my pole beans into bean poles. But I won’t do that to anybody. Promise. And I’m also (almost) always happy to negotiate. NORAH: Holy crow! A cent a word? You’re hired for my paranormal romances too! Can we talk about a birthday sister discount? ALICE: Yeah, yeah, yeah. Actually, I’ll do pretty much anything for you, Norah. You’ve performed so many kindnesses for me. Honestly, guys, Norah is one of the world’s best people. It’s true. NORAH: Aw, thank you, Alice! <Blushing> And thank you, too, for being here and enlivening my blog. Sags rock! ALICE: How do you pronounce that???? Well, never mind. I know I sag, so that’s not a revelation <g>. Thanks for having me, Norah!